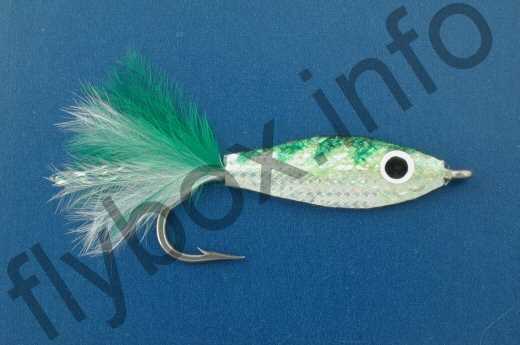 The Little Gem Minnow Emerald is tied with epoxy on a stainless steel hook. It is a versatile fry pattern that has proved to be very attractive to all species of predatory fish. Tail : Green and white. Body : Large pearl maylar. Body cover : Epoxy resin. Eye : Flat black and white surround. Currently there are no comments about the Little Gem Minnow Emerald fly pattern from other fly fishermen yet.